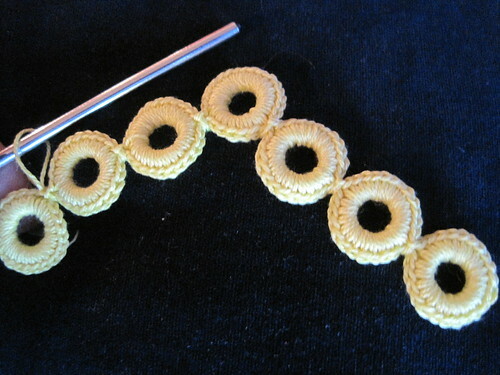 Cabone rings come in all kinds of sizes: 2 inch, 1 1/2, 1 1/8, 1, 7/8,3/4, 5/8, 1/2 I am sure they come in more but those are teh sizes I own. 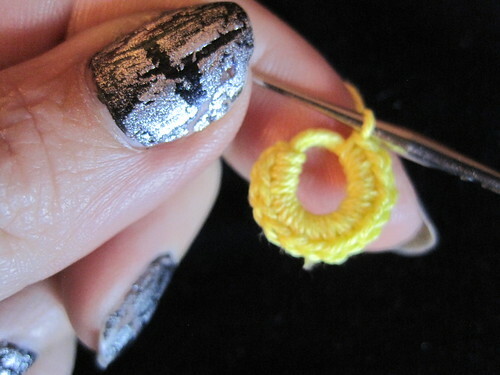 Usually you can find them at your craft or yarn shoppe as stitch markers. Buy enough for what ever project you are doing I suggest putting them in a ziplock bag once opened with a label on the bag written with permanent marker so encase you need more of that size you have it on the bag and what company to buy again as they do very from company to company. 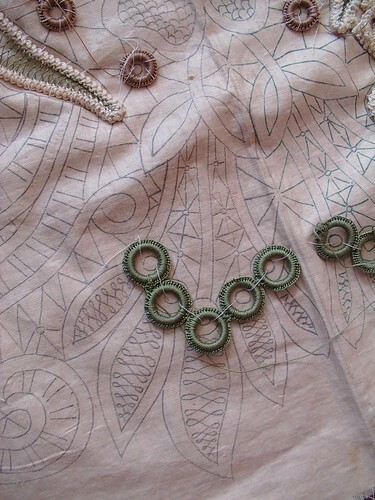 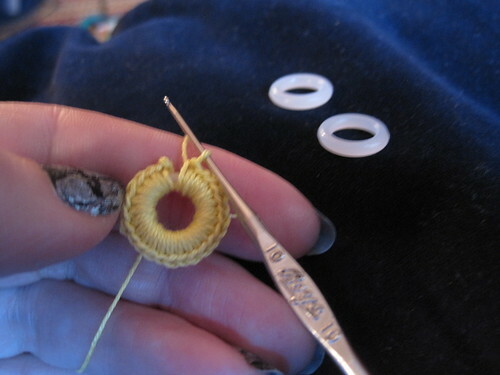 I have used flat open centered round beads for this too, the last cabone ring in the photo is actually a flat bead. 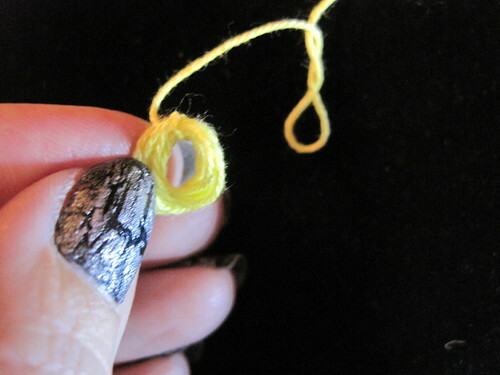 I have even used just random metal rings I have found when they are the right size for my project 1 thing to think about with metal rings is they oxidize so be aware of that thus the color I chose for the thread on that one. 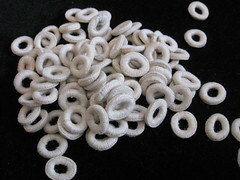 Cabone rings a hundred years ago were made out of cattle bone hence the name now days they are plastic. 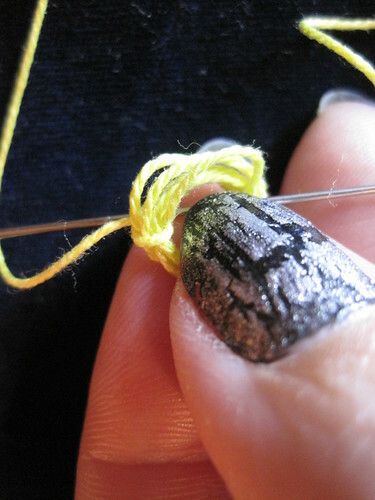 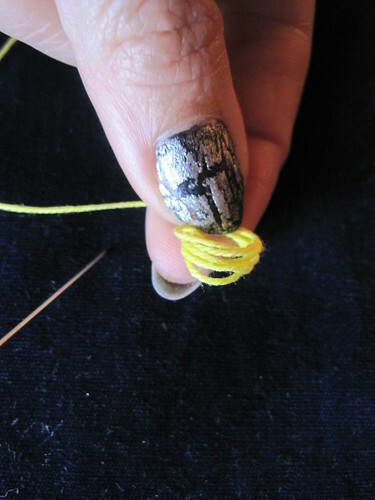 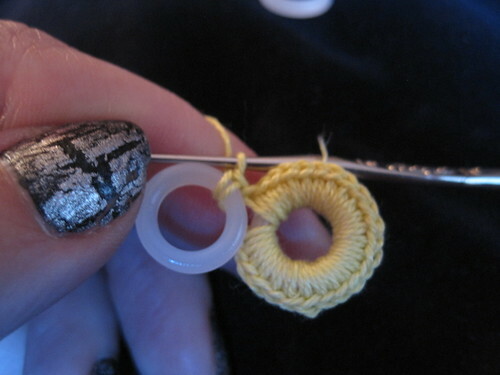 come up the other side of the rings making sure to put a slip stitch around the space between rings. 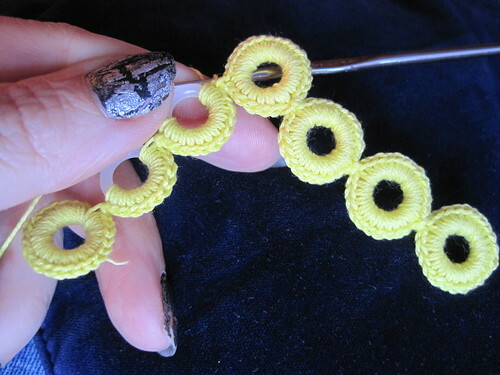 This made a V shape like flying geese if you just need a graceful arch like the one in this pattern you just do the straight line effect and there is enough play in it to get that graceful arch. 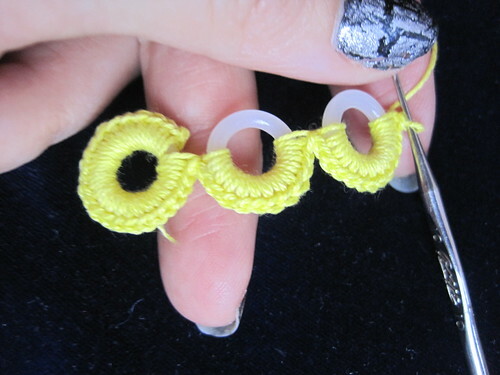 Here you see two versions of the rings joined together one is a V shape like flying geese and the other more in a cluster like a star there are other ways of grouping them like in grape clusters and things of that sort. 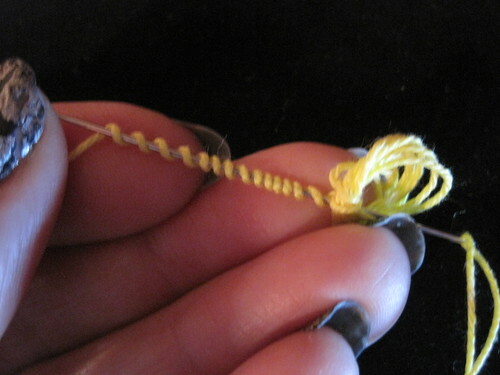 Play with it and have fun. 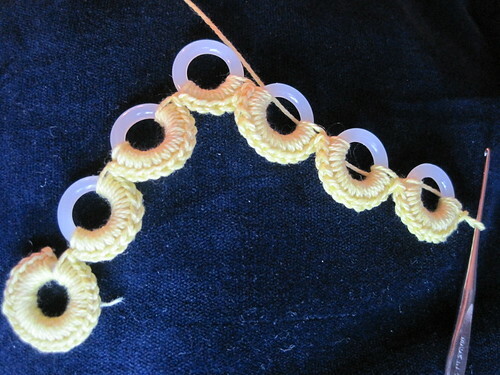 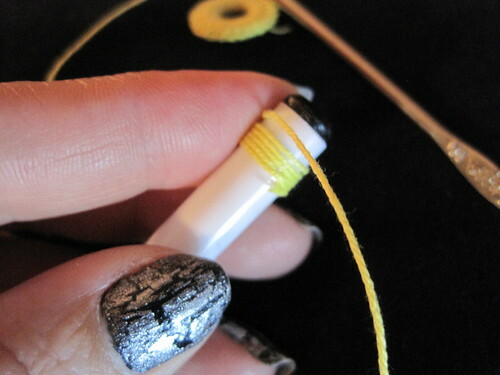 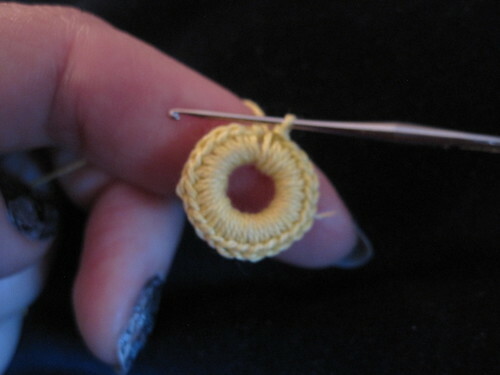 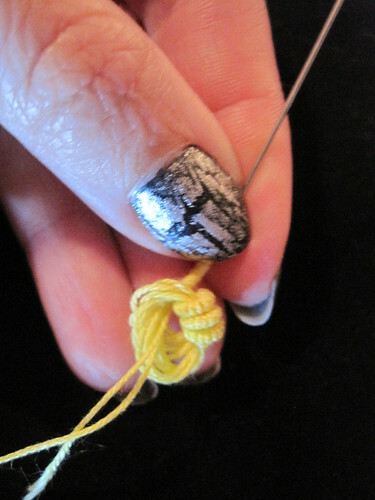 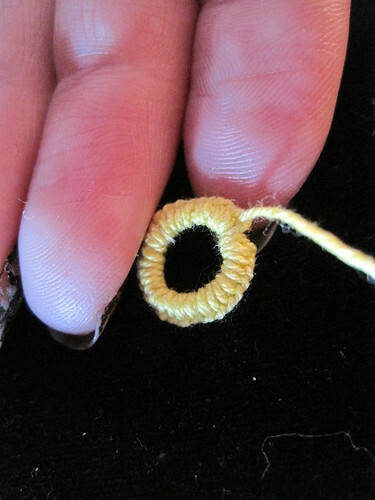 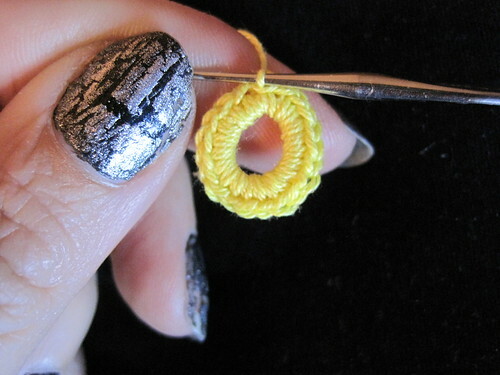 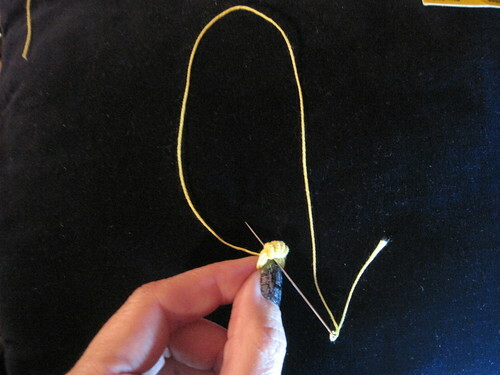 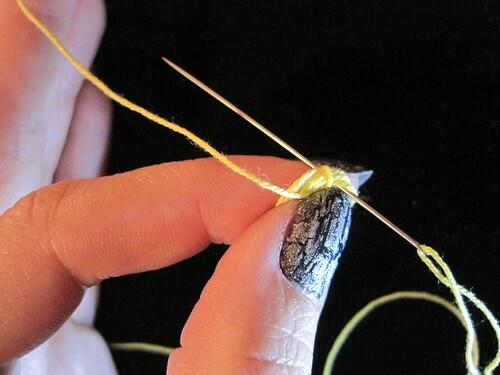 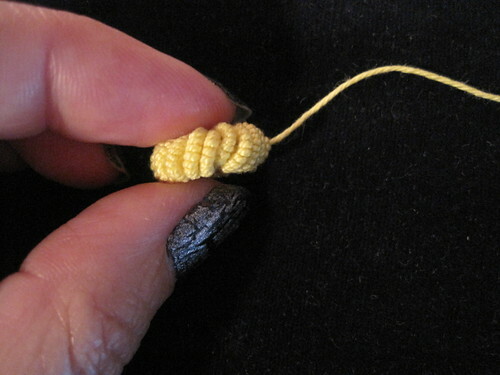 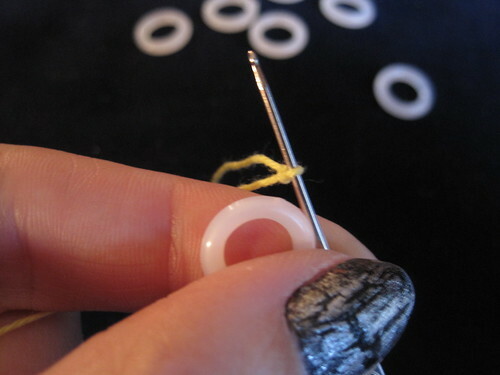 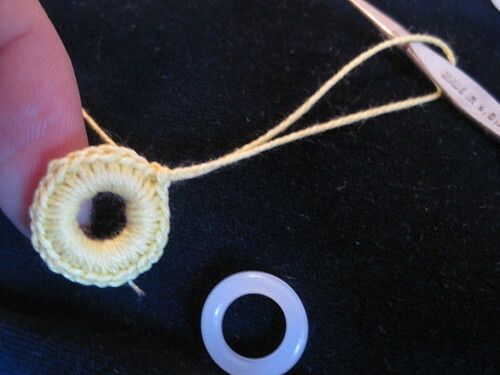 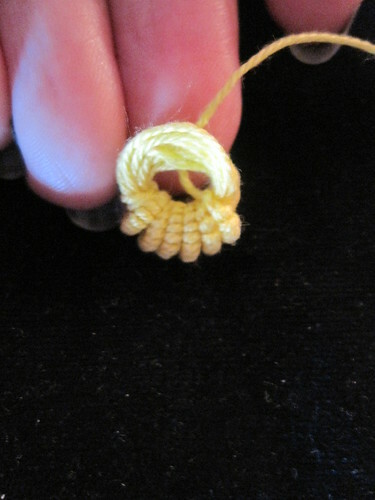 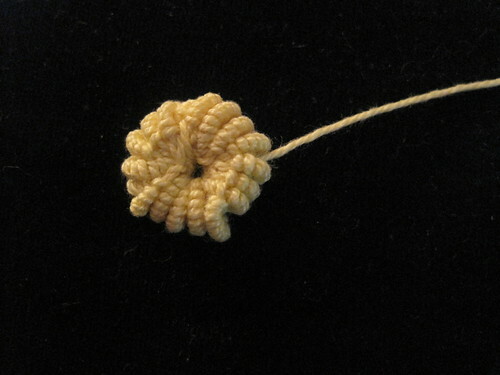 This is done the same way as the cabone ring except you have to pad the center of the ring with thread. 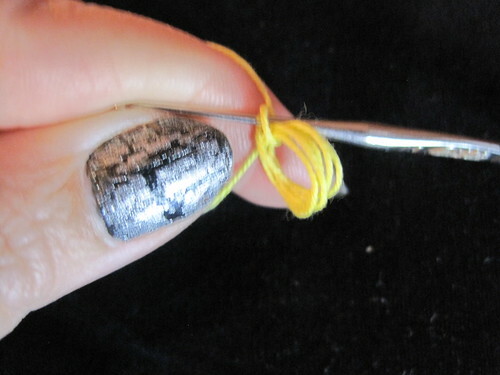 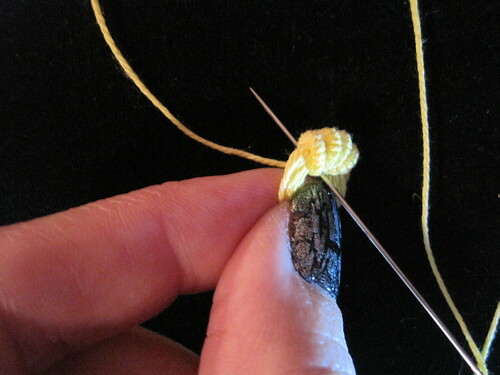 For the tutorial I am winding around the end of an ink pen but you could use the end of the crochet hook or a knitting needle or what ever you want that will give you the size center you want also wrap as many times as you want to get to the size of padding you want. 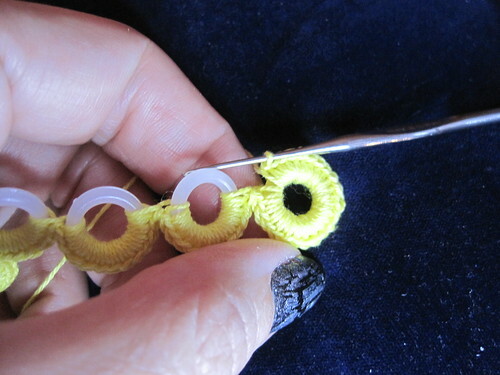 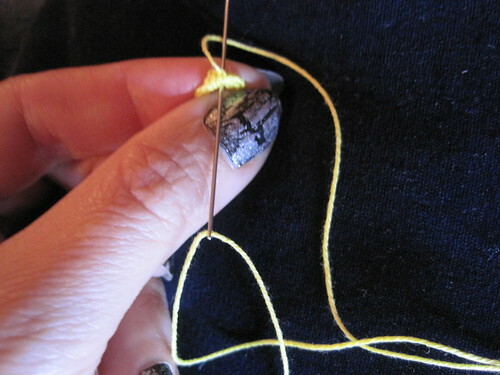 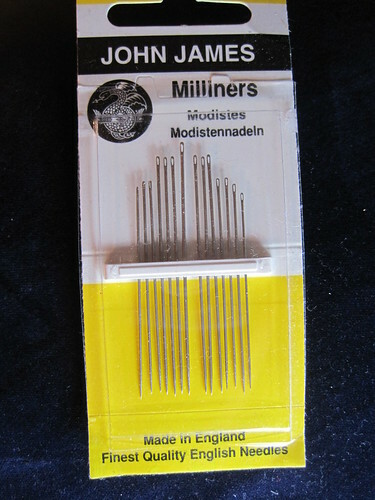 Finally the last three are using a needle with both cabone center and a padded thread center. 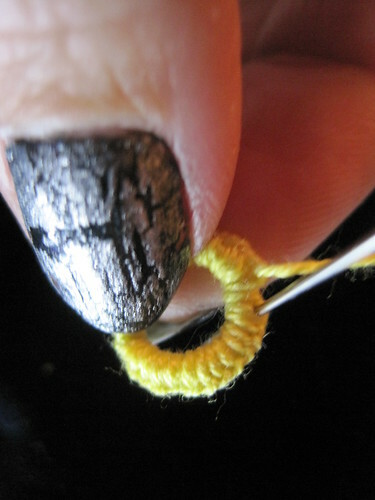 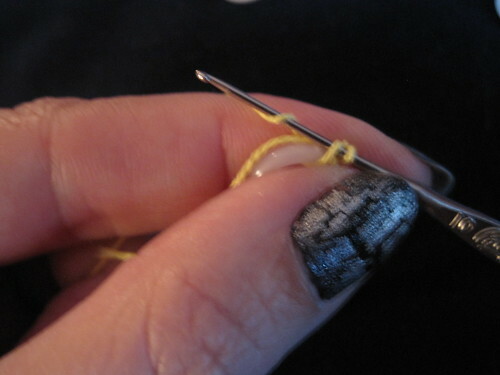 to it working bullion stitches just as you would in fabric except go threw the center of the ring all the way around the ring. 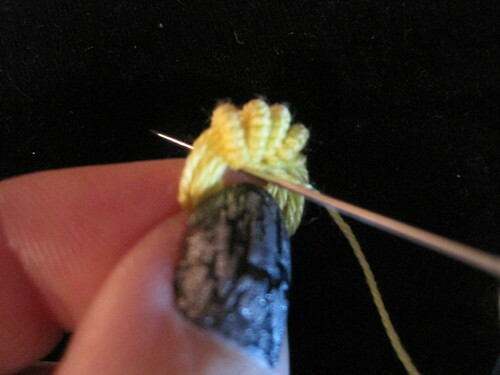 Hi dear I met you in flickr photo sharing, and I just fell in love for your work! 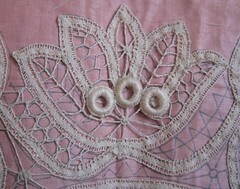 I don't make romanian lace yet, but maybe in the future..Right now I am a begginner in irish crochet!I want you to have much healty, and sucess in the next year! 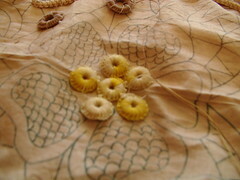 I have a blog since few days ago, if you can make me a visit! 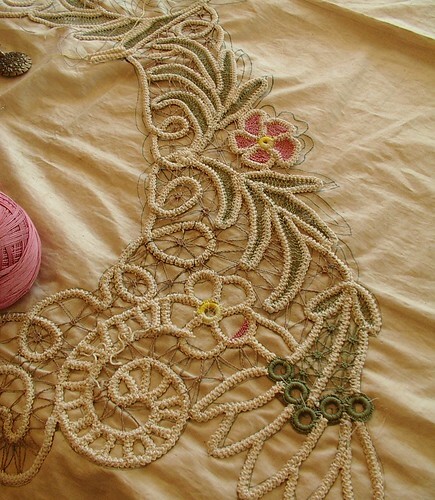 I would be very happy! 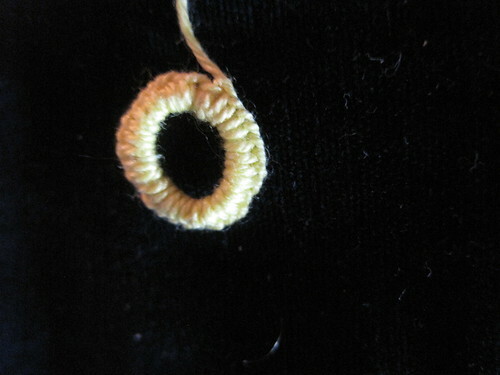 Bye dear!